Chris N. West is an international speaker, marketing expert, and President of LR Training Solutions. Formerly, he served in a position at Google where he worked the area of marketing key products. His career has taken him to 46 states. He has also presented to teams in Germany, Canada, and France. Chris helps marketing teams save time and focus on what matters, by using the latest tools online. 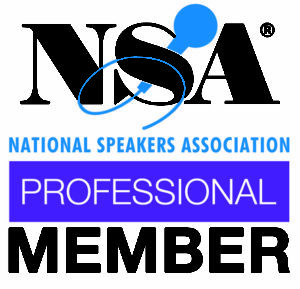 He became qualified to be a member of the National Speakers Association. Chris has worked with teams at Mercedes-Benz, Lionsgate, Yamaha, and other companies. 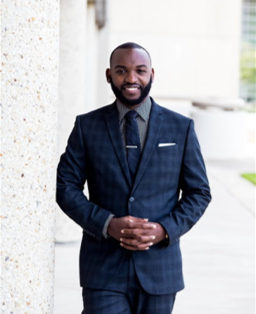 Chris was awarded the Nido Qubein Scholarship for his MBA by National Speakers Association. This is given to a person actively pursuing a career in speaking and entrepreneurship. Presentation > Averaging over 40 paid training and speaking dates a year, he delivers key topics to organizations or seminars. Many of the presentations focus on how the person or company can implement the online ideas easily after the seminar or event. Markets> He has worked with companies in San Francisco, New York, Montreal, Los Angeles, and many other major cities. Through this travel, he has gained experience with different personalities and various needs. Experience>The many roles he had with Google were beneficial to growth. One role was as a member of the team that helped launch Google Fiber in Kansas City. This included working with small business owners who wanted new technology. The role he had, which played a big part in presentation skills, was a program that involved training small business owners on all the useful Google tools available. This is where he learned how to become a Digital Marketing Speaker & Trainer. While working at an Oil & Gas publishing company, he mainly managed advertising campaigns across multiple sites. 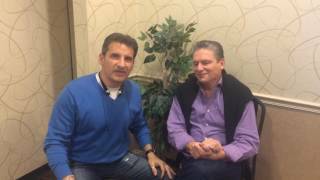 Business > As a business owner, he has increased revenue through marketing and business strategies. While starting, he used the same techniques he’s talked about in seminars and speeches, on online marketing. As a professional marketing speaker, he makes sure to use real life examples. 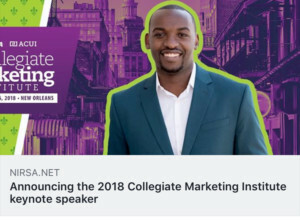 Chris is an engaging Internet Marketing Keynote Speaker who always shares a wealth of actionable ideas that managers can use right away to make a positive difference in their marketing and business team’s success. From the moment he begins his presentation, employees are captivated by his high-energy delivery style, and the richness of his ideas. 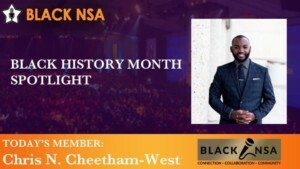 Invite Chris N. West to your organization. He’ll increase awareness of the many untapped opportunities available to you on the Internet and give you the insights you need to take full advantage of them. West obtained his B.B.A in Marketing from the University of Texas San Antonio, where he served as President of AMA-UTSA. Being President of this student organization, gave him valuable leadership skills. He also holds certifications in Google Analytics and eMarketer. He is currently completing his MBA. As an African American Speaker, he can speak to various audiences and teams. I grew up in Houston, Texas where I attended high school until moving to San Antonio for college. I found that much more experience is needed to be successful. I took jobs at multiple organizations until I graduated with a marketing degree from the University of Texas San Antonio. I was opening up many marketing books to educate myself about key tactics for results. Being a speaker had not crossed my mind yet. Soon after graduation, I worked at an oil & gas publishing company and at Google. I was approached with a position at Google to help market one of their growing products, which was Google places. Following the initial projects, I helped market events and grow products such as: Google Fiber, Google Plus, and Google Apps. 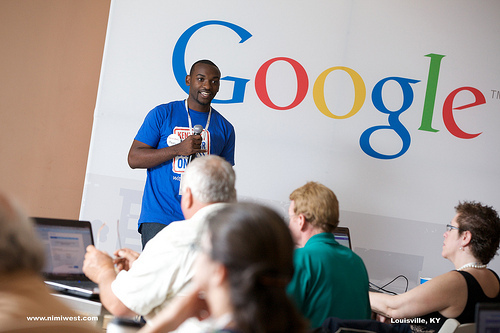 I also was a Google Analytics, AdWords Apps Speaker at Google sponsored events. Realizing that many organizations needed help with understanding new marketing tools, I decided to start conducting training for companies throughout the country. The main goal of the presentations is to have the attendees leave feeling more comfortable in their role. This can be accomplished by providing useful top internet marketing and online techniques that help grow revenue and get results. As a Google Analytics and SEO Speaker, Chris makes sure to provide tips that can be implemented right after the session. These sessions are good for corporate settings and other types of organizations. Available as a marketing keynote speaker, session speaker, half-day, full-day, two-day program presenter.